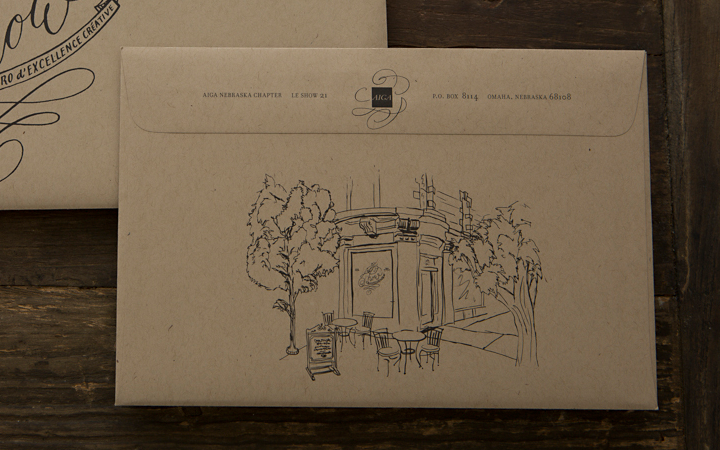 Event branding for an annual design competition channels a persnickety French bistro. Collective thinking and—let’s face it—a few glasses of wine, led us to Le SHOW, bistro d’excellence creative—a really cool, imaginary place where only the best music, drink, food and creativity live. 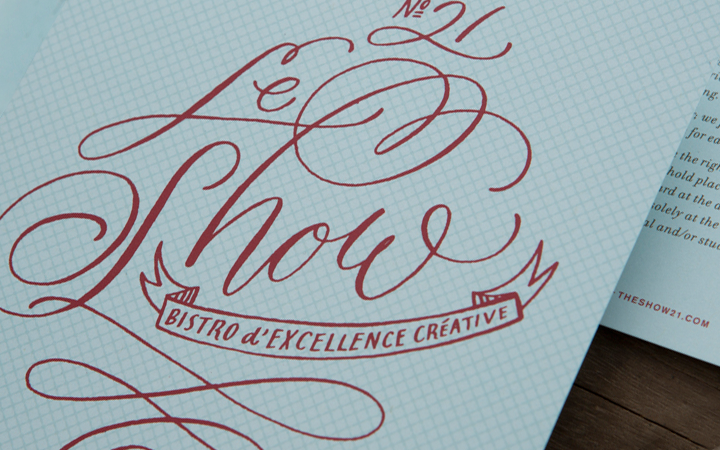 The French bistro became our inspiration as we developed call-for-entries and event branding for AIGA Nebraska’s annual design compétition, Le SHOW 21. 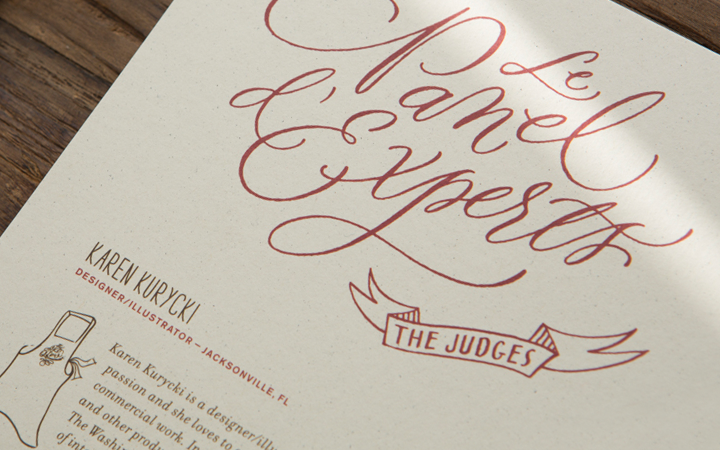 Every year AIGA Nebraska’s The SHOW honors excellence in design. The SHOW‘s goal is to entice Nebraska creatives to show off their best work from the past year and to encourage increased AIGA participation from both students and professionals. We challenged Nebraska creatives to enter their best “dishes” from the past year by creating aFrench-themed world. 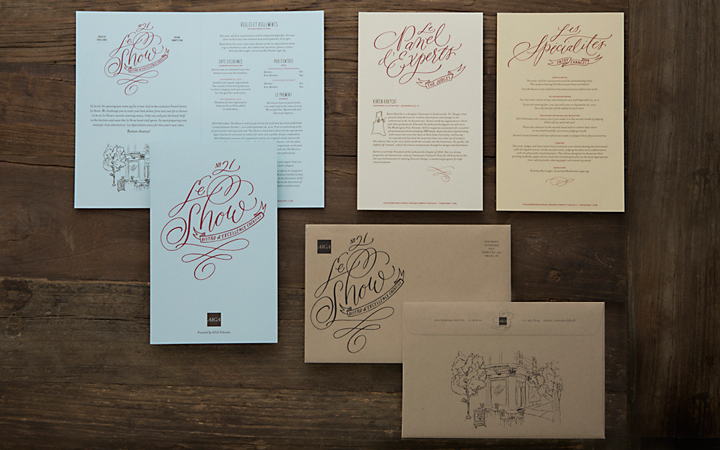 A series of “menus” displayed original illustrations, hand lettered type and ornament to entice a competitors to enter. Additional event branding included an 8-foot hand lettered chalk wall for the photo booth backdrop, category signage. 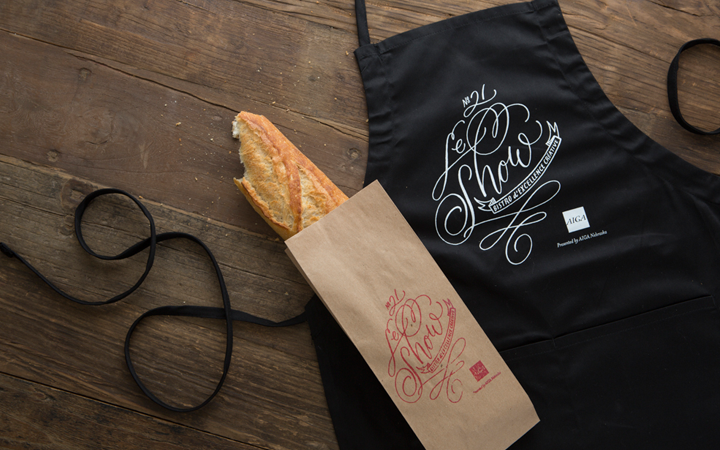 Hand stamped French bread bags—complete with a fresh baguette peeking out—were given to guests, while the judges received screen printed “head chef” aprons. The thoughtful attention created an unforgettable, celebratory awards show—and won the coveted Gold and “Judges Choice” award at the next year’s The SHOW 22.